Curious about who has claim to The Whoa? We explored the rise of the dance trend here. https://t.co/g2IvC3q4nM If I don't like the tune I make up my own music with my own rhythm and beats how bout that. Q: Do dance floor bops work as acoustic versions? A: When @NOTDmusic@GeorgiaKu and do it... oh hell yes. To celebrate the release of her new book, Dancing the Charleston, @FansofJWilson joins @JayMcGuiness to show us how to dance the Charleston. 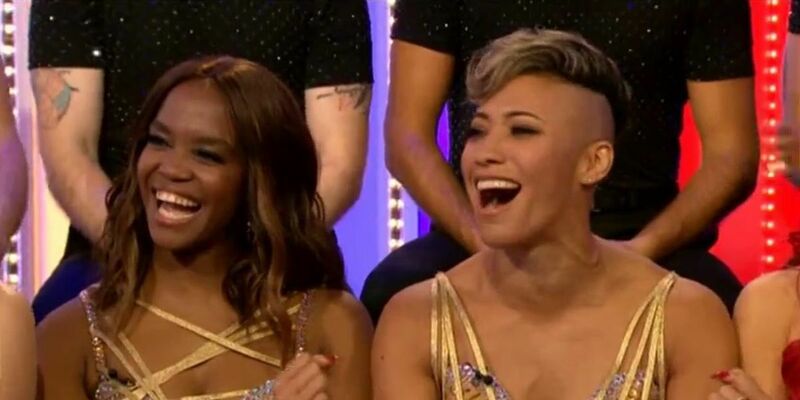 Strictly Come Dancing pro Oti Mabuse reveals which celebrity she wants to dance with this year. Do you like to dance? Do you like to work out? Well, tonight's choreorobics class may be up your alley. See https://t.co/q8ub03rWA7 for details. Is David about to give Robin a lap dance while you watch? @CarlinReeseWIP Now sure how he is now with fans but maybe Brett Favre? His constant will he/won’t he retirement dance made everyone mad back then.